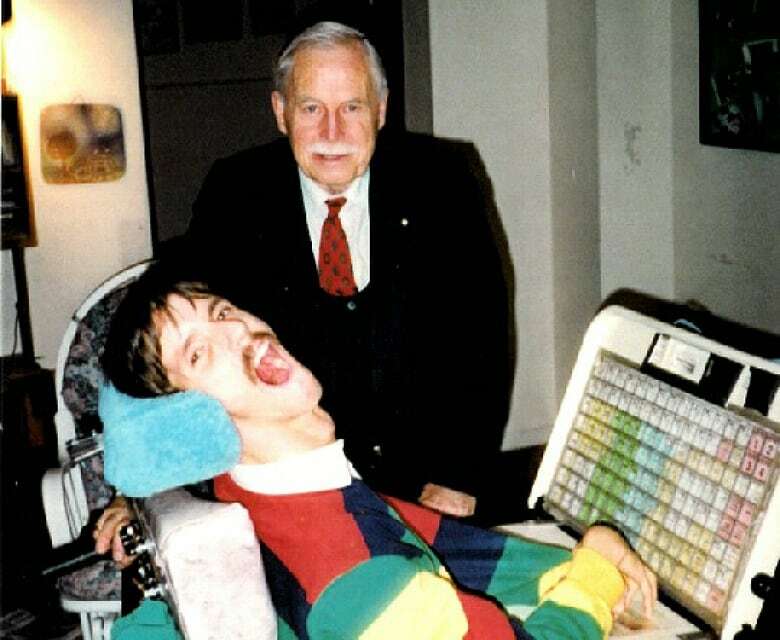 When Justin Clark reaches out and touches letters and symbols on the Dynavox computer screen attached to his wheelchair, it activates a synthesized voice. "I love my beautiful, beautiful family," he says. Clark says that his love was never in doubt, even though he took his own parents to court when he was 20 in a bid to prove that he was a mentally competent adult, and therefore had the right to make decisions about his own life. Clark was born with cerebral palsy. When he was two, doctors advised his parents to place him in the Rideau Regional Centre in Smiths Falls, Ont., a little more than an hour's drive from Ottawa. He grew up isolated from his parents and his five older siblings. In 1982, he won the right to leave the institution and make his own decisions about his future. 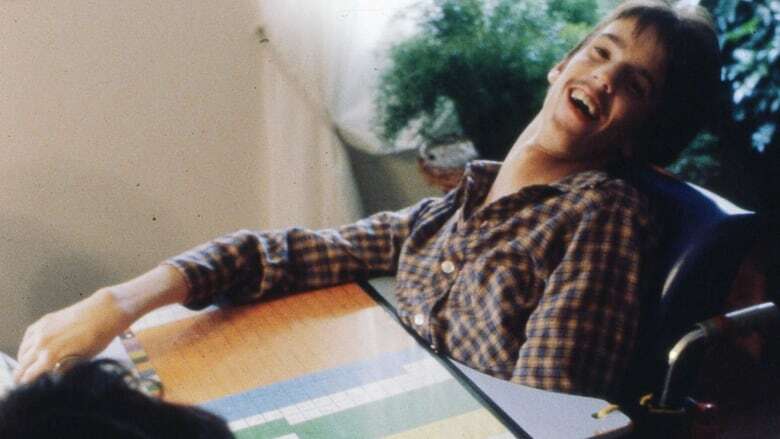 The impact of his case — a pivotal moment in the Canadian disability rights movement — continues to be felt today. Following the ruling, guardianship laws were re-examined, and in some provinces, rewritten. Disability rights advocates say there is still a long way to go, but Clark's case paved the way for other people with disabilities fighting to make their own decisions, rather than have legal guardians make them on their behalf. Today, at 56, Clark is thriving. He has travelled widely — to Germany, Switzerland, France and to visit a brother in the United States. He sees his siblings and friends regularly, and corresponds with them by email. He loves his job at Computer Wise, where he designs greeting cards and calendars. 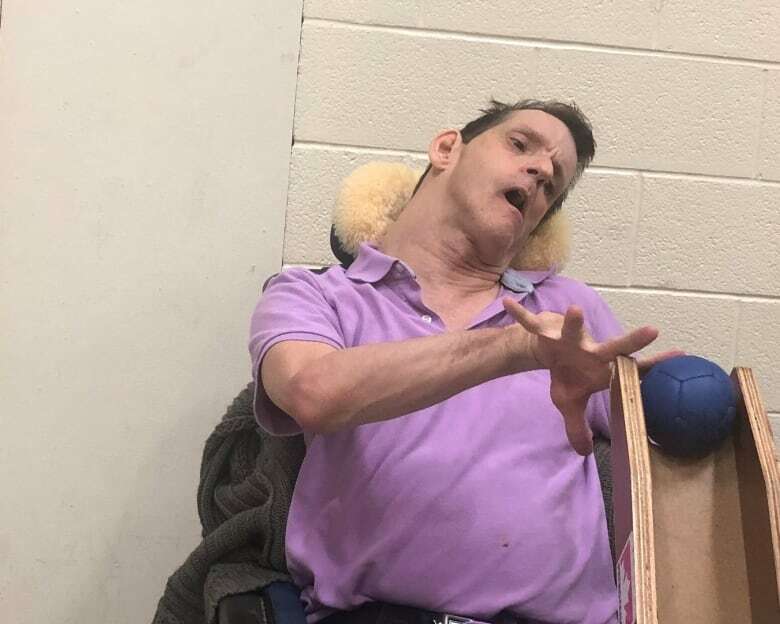 Once or twice a week, he plays bocce at the gymnasium of an Ottawa rehab centre. When Clark was moved to the Rideau Regional Centre in 1964, he joined more than 2,000 people with physical and intellectual disabilities. At 12, he was taught to communicate using Blissymbolics, a board that allowed users to communicate by pointing at printed symbols. Over the years, Clark made friends with some of the staff, including swim instructor Robbie Giles, who first met Clark when he was 10. "He came to go swimming, and there was just this delightful bundle of bones," Giles recalls. "There was something going on in his demeanour, in his eyes, that indicated real intelligence and responsiveness." When Clark was 18, Normand Pellerin, a French teacher at Rideau, invited him to go camping. But when the Rideau Centre's director contacted Clark's parents for permission, they refused. They believed their youngest son was mentally incompetent and should not be allowed to make decisions about his own life. Clark's father told a journalist that his son had "no grasp of what's going on." "I was furious," says Clark. So was Pellerin. Together, they decided to consult a lawyer to see if there was a way for Clark to get his parents' refusal overturned. When Toronto lawyer David Baker took Clark on as a client, he faced significant resistance. "The administrator [of the Rideau Centre] really had no patience at all for any of this," says Baker. "The public trustee did contact me and said that he was going to sue me personally for representing someone who is incompetent." After months of complex negotiations, the trial of Clark v. Clark began on Nov. 15, 1982, in the county courthouse in Perth, Ont. Justin Clark "knew what the consequences would be if he didn't win," says Baker. "It would be years of life in the institution." Melanie Panitch, the founding director of Ryerson University's School of Disability Studies, still bristles at what she heard during the first five days of expert testimony from doctors and psychologists. "I do remember a physical reaction to hearing [words] like 'feeblemindedness,' 'incompetent,' 'moron,' 'imbecile.' Those words were bandied around and felt very frightening," she says. "I mean, this was 1982. This was the time we were talking about the Charter of Rights and Freedoms. And yet when it came to disability, it was so far from our consciousness at that time." "They gave me names like 'a vegetable' and called me an infant," he says. Audrey Cole, at the trial representing the Canadian Association for Community Living, had a personal stake in the case. Her son Ian is intellectually disabled and almost the same age as Justin Clark. She remembers a psychiatrist coming up to her during a court recess. He asked whether she, like the Clarks, would fight to maintain legal guardianship over her son when he turned 18, so she could make decisions on his behalf. "Over my dead body," she replied. "From that moment on, most of my life has been devoted to finding an alternative, so that people aren't placed in guardianship," Cole says. On the sixth and final day of the trial, Clark was a witness. The thin 20-year-old was dressed in a suit, sitting in his wheelchair with a Bliss board within reach — the first Canadian in history to use one in court. He answered questions by pointing to symbols, which were then interpreted and read aloud. "He was soaking wet from sweat from the physical effort of containing himself. But he was incredibly determined to get his message out," says Baker. When Clark finished his testimony, his parents stood up from their seats in the gallery and applauded. David Baker felt that Clark's testimony had surprised even the most skeptical people in the room. "He had communicated his profound feelings of longing for his family and longing to leave the institution," he says. On Nov. 25, 1982, Judge John Matheson read his judgment aloud. "We have, all of us, recognized a gentle, trusting, believing spirit, and very much a thinking human being who has his unique part to play in our compassionate, interdependent society," he said. "I was so excited and happy," says Clark. "Judge John Matheson heard what my heart and my soul were saying." Disability rights activists say it was a historic decision, and its implications are still being felt today. 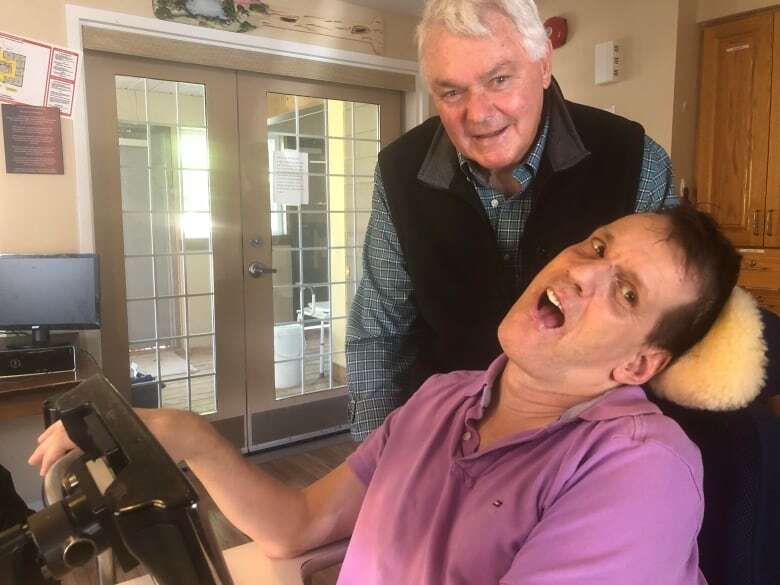 Lawyer Dulcie McCallum, a special adviser on Canada's delegation to the United Nations to prepare the Convention on the Rights of People with Disabilities in 2006, says that Clark's case "had an important influence on the Convention." In particular, it helped inform the development of Article 12, which recognizes that "persons with disabilities enjoy legal capacity on an equal basis with others in all aspects of life." The article also directs governments to take "appropriate measures to provide access by persons with disabilities to the support they may require in exercising their legal capacity." Clark's use of the Bliss board in court was seen as an example of providing that access. 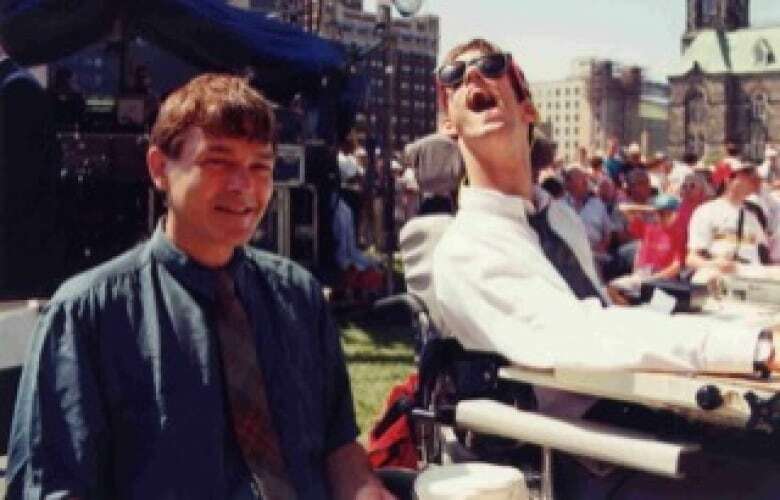 "[Clark's] contribution was to transform society's understanding of disability, in telling his own story. He has also borne witness to the memory of injustices of the past," says Panitch, who has written and lectured extensively about the case. "Many of us put the court case as one against the other," says Clark's friend Normand Pellerin. "It wasn't that. It was just Mr. and Mrs. Clark wanting to check that Justin was safe. The institution offered a very big safety net. There was a whole society ... that said to parents, 'You shouldn't have a relationship [with your child].'" Audrey Cole, who at 90 is still a leading disability rights activist, remembers seeing Clark's mother in the courthouse washroom 36 years ago. "I just wanted to go and say, 'Look, it's going to be all right. He'll be OK.'"
After leaving the Rideau Centre, Clark moved into a home run by his friends, who took care of him. He also got to know his parents and his siblings. "He is very forgiving," says Pellerin. "He is filled with love." Today, Clark lives in Foyer Partage, a staffed group home in suburban Ottawa. Over the years, he has given public presentations about his life in churches and schools. In 2014, he was honoured by the Celebration of People in Ottawa for his years of advocacy for people with disabilities. "I have had a good life," he says. When asked if he is proud of what he has accomplished, he does not use the computer. He shouts, "Yah." Robbie Giles, who has been friends with Clark for more than 40 years, helps him explain. "You're very close to your brothers and sisters and nephews and nieces, and you share in all the joys and the upsets that go with being a family member." "I go forward," says the synthesized voice. "Beautiful, beautiful family." Click "listen" at the top of the page or click here to hear David Gutnick's documentary.